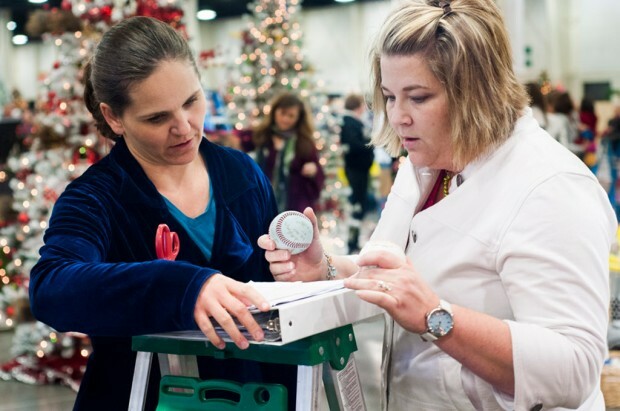 The Festival of Trees is back for another year of giving to Primary children’s Medical Center. The festival will be hosted at the South Towne Expo Center on Nov. 28 through Dec. 1, 2012 from 10:00 a.m. to 10:00 p.m.
Tickets can be purchased at the door, $5 for adults, $3 for children and $4 for senior citizens. Discount tickets are available at most Zion’s Bank branches. For more information go to festivaloftreesutah.org. The festival is organized by a volunteer board of eighty-five women who invest their time and talents from thousands of individuals, businesses, and families in Utah. According to the festival board, over $30.8 million has been raised through the festival since 1971. In addition to charity care, the Festival of Trees supports other programs such as music therapy. The hospital has a music therapist working full-time for pain management, physical therapy and emotional release. The festival also supports research programs for children undergoing cancer, heart disease, prematurity and other illnesses. Opening night was held on Tuesday Nov. 27. 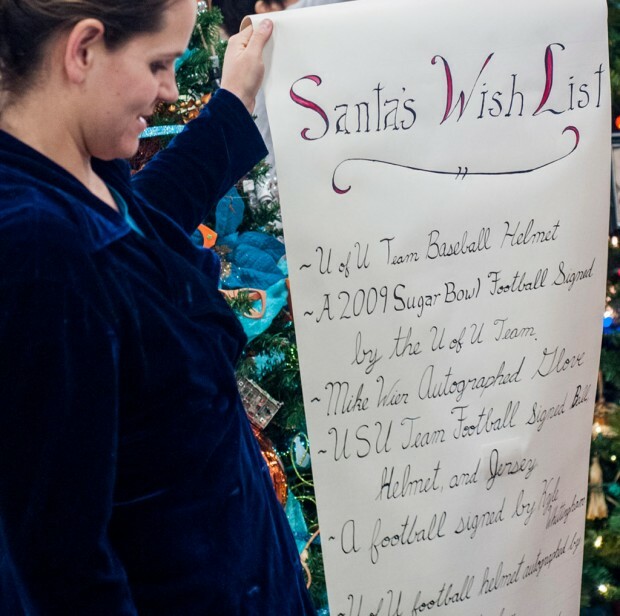 The event hosted a silent auction of trees, centerpieces, gingerbread, playhouses, quilts and wreaths. The festival includes over 700 decorated trees of every shape, size and theme. The trees were sold at a private auction on opening night, which was an “invitation only” event. Any trees not sold on opening night are available for purchase throughout the rest of the festival. A photo with Santa is another activity families can enjoy at the festival. The gift boutique is a place to find unique gifts for someone special while supporting the cause of the festival. 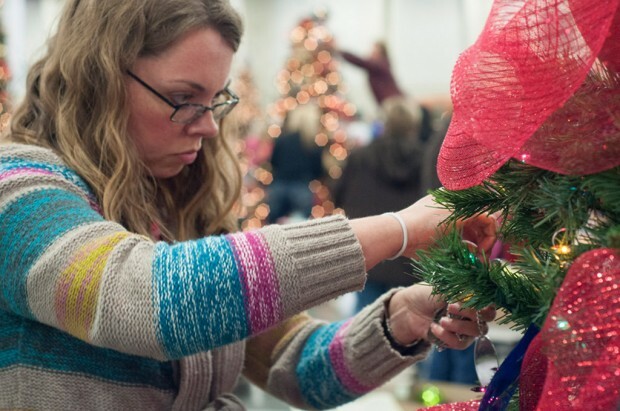 A volunteer decorates a Christmas tree for the Festival of Trees. Student Chandelle Hunt prepared an ornate scroll listing all the collectibles included in the display. SLCC American Chemical Society club members Chandelle Hunt (left) and Kristi Nuckles tag each item prior to placing it in the display.